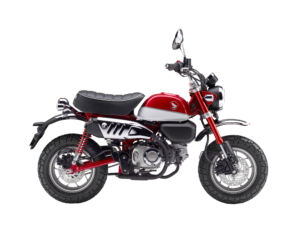 Honda Monkey finally available in Malaysia at RM13.999! Boon Siew Honda, the importer of the Japanese brand in Malaysia, has finally announced the arrival of the newest generation of the popular Monkey, a mini-bike, now based on the platform we know from the current Honda MSX 125 that is also very popular amongst Malaysian riders. 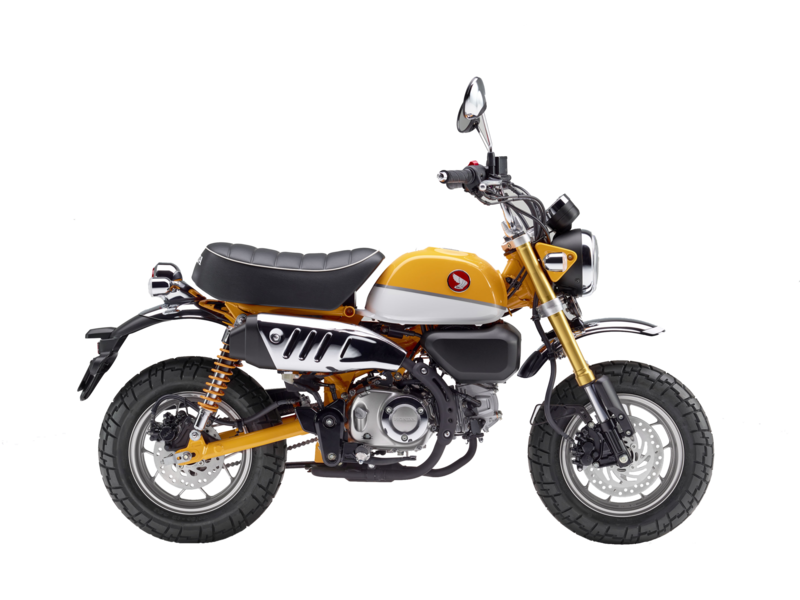 Back in April this year, iMotorbike already gave you the news that the iconic Monkey would be revived by Honda, but at the time Boon Siew Honda didn’t confirm that this model would be coming to Malaysia. 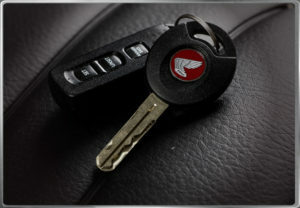 Having seen the interested generated by the news, BSH has now confirmed the arrival of the new Monkey 125 and has also set the price at RM13.999 (zero SST rated as the Honda Monkey is not affected by the recent SST implementation). And what can you expect from the new Monkey? 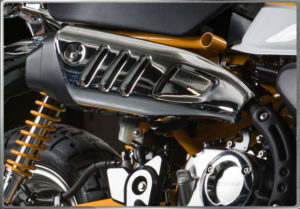 The Monkey 125 uses a backbone frame with an oval-cross section swingarm, and the new version also comes with inverted forks and dual shocks with 12-inch wheels. The bike weighs 105 kg (wet weight) and carries a 5,6-litre fuel tank. Compared to the original Monkey, this new version makes the rider seat a little higher to the ground, with the high-density seat fixed at 775 mm from the ground. 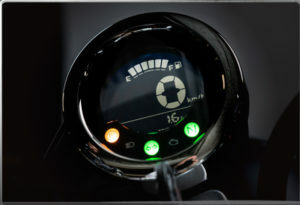 The front inverted forks are coated in a premium Alumite finish, while the braking system has discs on both wheels (220 mm at the front, 190 mm at the back), and Honda made sure the rider is safe at all moments by installing an ABS unit that works in conjunction with an IMU – Inertial Measurement Unit. 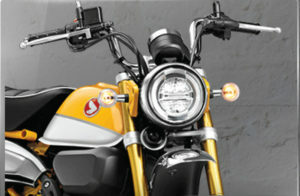 The engine is a single-cylinder with 125 cc horizontally positioned and air-cooled. 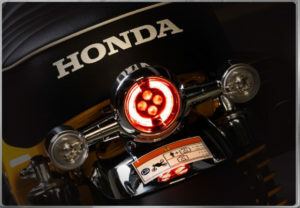 Fuel is fed by a fuel injection system, the famous PGM-Fi, and while power is 9,2 hp and maximum torque reaches 11 Nm, all this transmitted to the back wheel with the help of a four-speed gearbox, average fuel consumption, according to Honda, is only of 1,49 liters every 100 km, and this will allow the Monkey 125 to run for more than 300 km before stopping for a fill up. 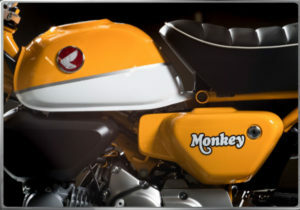 Honda proposes the new Monkey 125 in three color options: Pearl Nebula Red, Pearl Glittering Blue, and the appropriately named Banana Yellow. For more information about the new Monkey please visit the official Boon Siew Honda website by clicking here. Kawasaki Ninja H2R wins the most epic drag race ever!